The event with as many as 1,000 social conservative leaders – mostly evangelical – starts at 10:15 a.m. Tuesday and ends around midday. There isn’t a poll or endorsement coming at the end and participants say they are coming with an open mind. However, polls show a majority of white evangelicals – and social conservatives in particular – leaning towards Trump. The question is how strongly. What started as a closed-door gathering of 400 social conservative leaders to test Trump’s values has grown to a daylong conference of 1,000, involving nearly all the traditional political influencers of the religious right. For some, it is an effort to get Trump to better understand their policy positions. The Southern Baptist Convention has been closely associated with conservative politics for years, but at its annual meeting this week the denomination showed that its concerns are becoming more diverse along with its membership. Where 20 years ago the convention voted to boycott Disney for promoting homosexuality, last week delegates passed a resolution extending love and compassion to the victims of the recent shooting at an Orlando gay night club. On Father’s Day weekend in Chicago, 12 people were murdered in 54 different shootings across the city. Among the dead is a 16-year-old boy. The youngest of the injured is just 3. This weekend is unfortunately not atypical in Chicago, where shooting deaths this year are on track to be the worst in two decades. This time of year is when refugee resettlement is the busiest in the U.S. And with President Barack Obama announcing in September that he would bump to 85,000 from 70,000 the number of refugees accepted into the U.S. this year — 10,000 of them from Syria — St. Louis is seeing a higher-than-usual number of refugees. 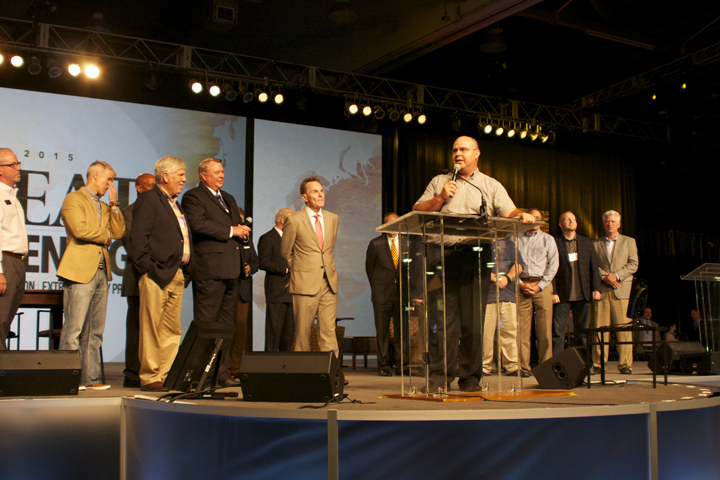 The SBC constitution and bylaws were amended last year to broaden messenger representation. Each cooperating church that contributes to convention causes during the preceding fiscal year now automatically qualifies for two messengers; previous rules allowed for one messenger. One additional messenger for each full percent of the church’s undesignated receipts contributed during the fiscal year preceding through the Cooperative Program, and/or through the Executive Committee for convention causes, and/or to any convention entity. One additional messenger for each $6,000 the church contributes in the preceding year through the normative combination of the Cooperative Program, designated gifts through the Executive Committee for convention causes, or to any SBC entity. Though my father was a pastor and then director of missions, I didn’t attend my first SBC until 1992. That year the convention came to Indianapolis, as close as it had been in many years to the Chicago suburbs where we lived. A friend from church suggested going, “because it’s rarely so close.” Indeed, the SBC would not come within 500 miles of Chicago for another 10 years. So we went and took my dad along with us. Little did I know that only five years later I would be flying to only my second SBC in Dallas, to be voted on as a vice president with the newly formed North American Mission Board. I haven’t missed an annual SBC meeting since then. This year, Lord willing, will be 20 in a row. If you haven’t been to the convention before, or can’t go often, this is the year. I share this personal history to say that I really do understand why the average person may not regularly attend the annual SBC. Unless there’s a controversy or crisis of some kind, the SBC is often left primarily to professionals who have travel budgets, and pastors who may direct part of their family vacation time there. Perhaps that’s why attendance at the SBC has only topped 10,000 three times in the last 15 years. Peak attendance during the conservative resurgence of the mid-1980’s was over 40,000. But now, let me challenge you to attend the June 14-15 SBC in St. Louis this year. As my friend said, it will be years before it’s this close to Illinois churches again. If you haven’t been before, or can’t go often, this is the year. More importantly, this year’s elections and other actions will be significant. It was announced just last week that Illinois’ own Doug Munton, pastor of First Baptist, O’Fallon, will be nominated as First Vice President. I’m really excited about that. I hope hundreds and hundreds of Illinois Baptists will be there to support this outstanding Illinois pastor for this national role. The election for president this year also presents a significant choice between pastors with notable differences, not just in ministry experience, but in the areas of doctrinal conviction and missions cooperation. Illinois messengers will want to study these in advance of the convention, and arrive prepared to support the nominee who best represents not only their own churches’ practices and convictions, but also the direction that they feel is best for our Great Commission cooperation as Baptist churches in the future. Normally Illinois ranks about 15th of 42 state conventions in the number of messengers it sends to the national SBC. But the last time the convention was in St. Louis (2002), Illinois ranked 5th, with 611 messengers from 193 churches. And in 1987, the previous time the SBC was in St. Louis, Illinois churches sent 1,373 messengers. Yet last year only 139 messengers from Illinois churches attended the SBC in nearby Columbus. 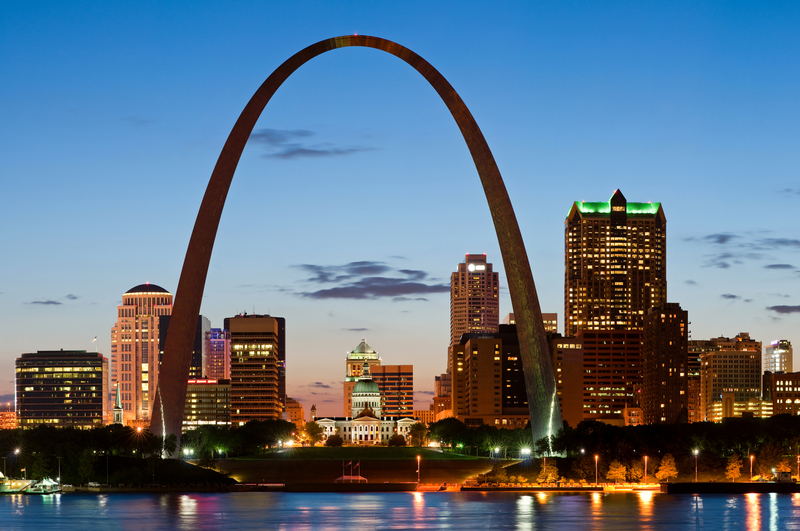 To encourage messengers to turn out in record numbers this year, IBSA will be hosting a reception for Illinois Baptists at the St. Louis convention center, on the Monday night following the Pastors’ Conference and just prior to the convention’s start on Tuesday morning. Whether this year is your 40th SBC, or your very first, I hope you will make the SBC in nearby St. Louis a priority this year. What happens at the SBC is really up to folks like you and me. The Louisiana Baptist Message reports overseas baptisms by the International Mission Board 2015 dropped to 54,762 from the 190,957 reported for 2014, according to information submitted by the International Mission Board in response to a request by the Southern Baptist Convention Executive Committee. Likewise, the number of new churches fell from 13,824 to 3,842 over the same one-year period. As March Madness started, a homosexual advocacy group began pressuring the NCAA to exclude from its membership all schools with federal government approval to “discriminate” against transgender individuals on religious grounds. Southern Seminary President R. Albert Mohler Jr. predicted the NCAA eventually will succumb to pressure from activists and grant the request to ban schools with a biblically orthodox view of human sexuality from America’s most prominent college athletics association. For the first time in Wheaton College’s over 150-year history, the Illinois evangelical higher education institution has named a woman to be the school’s provost. Wheaton College President Philip Ryken announced Seattle Pacific University assistant provost and Wheaton alumna Margaret Diddams will take over as provost after current provost Stanton Jones steps down later this year. The grandson of evangelist Billy Graham, Tullian Tchividjian, has been fired by another church after confessing to another affair that he previously had. The news broke when Willow Creek Church in Winter Springs, FL, explained that the 43-year-old pastor admitted he had an affair with another woman, which he had not previously mentioned. COLUMBUS – Mission volunteers from Uptown traveled to Columbus, Ohio in 2015, where they worked for two days training and encouraging local believers in prayer walking and evangelism. Once church members who have engaged in missions start “passing on” their experiences to their friends, it can ignite a missions fire of sorts, causing a church to look in their own neighborhood and beyond for ways they can reach more people with the gospel. That’s how IBSA zone consultant Steven Glover describes the impact of Crossover, an annual outreach event held prior to the Southern Baptist Convention. This year’s Crossover initiative in St. Louis is planned largely for Saturday, June 11, although some projects start earlier (see planning checklist below). Last year, Glover and his family participated in Crossover with a team from Uptown Baptist Church in Chicago. The volunteers worked with a church in urban Columbus, Ohio, to prayer walk their community and share the gospel with people they met. Glover and the team also helped train the Ohioans in prayer walking and evangelism, equipping them for the ministry they did together. Once they got back to Chicago, they shared with the rest of the congregation what had happened in Columbus. As with any mission trip, the resulting benefits could have stopped there, Glover said. “But if you have people who have participated in and are excited about it, they’ll continue to talk about it,” he said. That’s why the key is getting as many people involved as possible. This year, Uptown will take a team to St. Louis to work with a church in a similar ministry setting as their own inner-city church. In Columbus, said Uptown’s missions coordinator Doug Nguyen, the church worked with “an urban congregation that ministered to Muslims and immigrants, as well as families around the neighborhood in downtown Columbus. BALTIMORE – Members of Uptown Baptist’s Crossover team share the gospel prior to the 2014 Southern Baptist Convention. After Uptown partnered with a Baltimore church for Crossover in 2014, they were able to pray for the congregation specifically when rioting broke out in the city the next spring. “We’re all praying for them right now, for churches to really step up and be the salt and light in that community,” Nguyen told the Illinois Baptist at the time. When mission volunteers help other Christians reach their community, they’re bearing each other’s burdens, Glover said. They’re energized by helping fulfill the Great Commission, by doing what God has called his people to do. They’re also more likely to come back home and find ways to do the same in their own city. As you recruit volunteers for your Crossover team, think about who they are. What are their ages, ministry skills, and spiritual gifts? View the list of Illinois Crossover projects at meba.org/crossover-st-louis- 2016, and look for those that fit your team. For example, if you have Spanish speakers in your group, consider joining Iglesia Bautista Maranatha in Granite City for prayer walking and door-to-door evangelism in their community. Interested in sports outreach? Help Sterling Baptist Church host a 3-on-3 basketball tournament. What time can they give? Two congregations in Hartford and East Alton are working together on a week-long canvassing project, capped off with a community block party. A new church in Collinsville will utilize volunteers for community surveying and sharing the gospel on Saturday, and then will host a preview worship service Sunday. Check the full project list at meba.org for more multi-day opportunities. Start thinking now about how to share your ministry experiences with the congregation back at home. Which stories best illustrate how God worked through your team to increase your partner church’s influence and favor in their community? Did anyone accept Christ? What spiritual needs can your church pray for over the next year? Also, how might you extend the relationship with your Crossover partner church? Uptown kept in touch with Baltimore pastor Ryan Palmer, who they worked with in 2014. He visited Uptown when he was in Chicago the next year. As you plan your Crossover project, consider how it might spark a ministry partnership that goes beyond one day. Jim Breeden, director of missions for the St. Louis Metro Baptist Association, accepts the hand-off for the 2016 Southern Baptist Convention. Columbus | Southern Baptist Convention President Ronnie Floyd officially closed the 2015 annual meeting this afternoon, but not before calling to the platform leaders from St. Louis and Missouri who will carry the torch for next year’s meeting in the Gateway City. Ohioans and Missourians stood with one another on the stage, celebrating the evangelistic outreach done in Columbus through Crossover, and appealing to Baptists to come to St. Louis June 14-15, 2016. (Crossover Saturday is June 12). Thank you for following the news from Columbus this week! You can read more in the next edition of the Illinois Baptist, online at http://ibonline.IBSA.org.